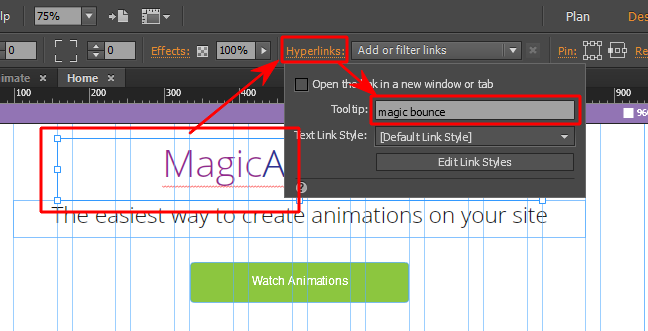 A simple and flexible widget for creating animations in Adobe Muse. Now you do not need to add hundreds of widgets to the page. It is enough to add one widget and customize the animation for the objects. The widget automatically identifies objects and animates them! There are 76 unique animations and 5 properties for each of them.